Sakai Community DocumentationSakai 11 - EnglishSakai 11 Administrator Guide MemoryHow do I view Memory Status? Zoom: The memory report will display. 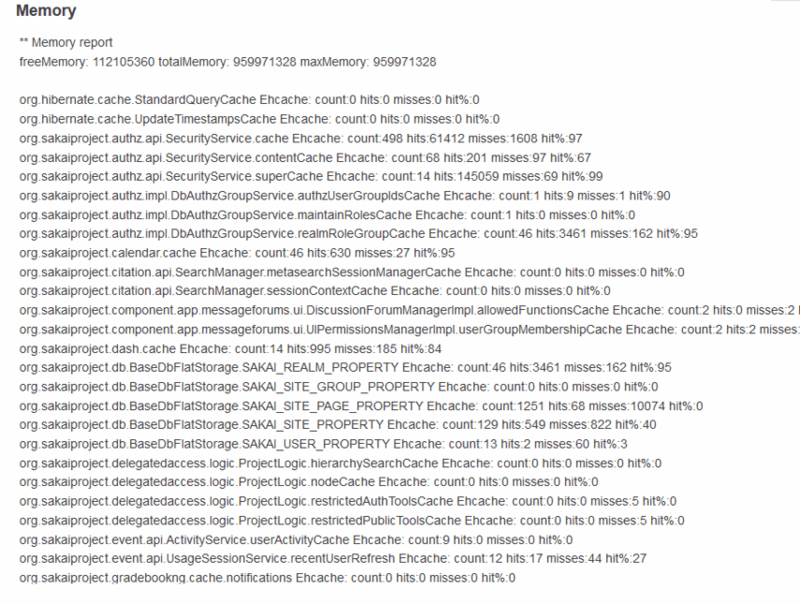 Prev: What is the admin Memory tool? Next: How do I locate maxed out caches?